Living on the streets is a challenge especially in winter. The struggle to get food is made worse by trying to stay warm and dry. Unfortunately, this is the reality for many people in our province. You feel compelled to help, but what's the best way to make a lasting difference in a homeless person’s life? 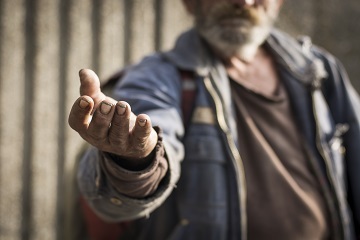 A hand-out might make the person begging from you to stop, but by giving money you encourage homeless people to avoid shelters and choose a life of begging on the street. By donating to a shelter you can change the life of a homeless person in meaningful and lasting ways. It’s estimated that there are about 4 862 homeless people in the greater Cape Town area and an estimated 700 live in the central business district (CBD). Why shouldn’t I give money to street people? Giving money directly to a homeless person doesn’t help to change their situation. The money might be used to buy food but for those dependent on drugs or alcohol, it will be a means to continue their addiction. The addict, in most cases, is using the drugs and alcohol to help them cope with their situation and by giving money you are keeping them in this cycle. Contact the Department of Social Development (DSD) hotline on 0800 220 250 to find out how to donate to registered Non-Government Organisations (NGOs) and shelters which render services to people living on the streets. Information on registered NGOs can be obtained by visiting any of our regional and local offices, or by contacting our DSD hotline 0800 220 250. Donating non-perishable and perishable food. Donating clothes and shoes of various sizes and for both genders. Donating household goods e.g. bedding, cutlery and crockery, etc. Please contact the shelter that you'd like to donate to first to get an idea of what their needs are. Donating toiletries, such as shaving razors, deodorant, soap, toothpaste, shampoo, sanitary towels, etc., but first confirm with the shelter if they accept these items. Assisting shelters with their fundraising events. Arranging or donating to a collection drive in your community, employer, your place of worship, school, etc. and donate the collection to your nearest shelter. Assisting the shelter with offers of building maintenance or donating building and cleaning materials to them but try and keep it in line with their needs. Making a monetary donation into the banking account of registered organisations. How is government assisting the homeless? The Western Cape Government’s Department of Social Development (DSD) would like to encourage the public to give responsibly. This entails donating money, food, clothes, toys, bedding, etc. to registered Non-Governmental Organisations (NGOs) who works specifically with the homeless people in our towns and cities. The DSD assist the homeless by fully or partially funding Non-Governmental Organisations that work directly to get people off the streets and to empower them with skills-training, uniting them back with their families and integrating them into their communities. 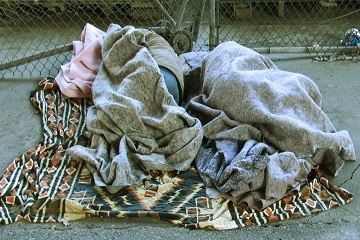 The Western Cape Government’s Department of Social Development’s Winter Readiness Programme prioritises the homeless by providing R47.6-million to 29 shelters, which provides 1 401 beds each day. The shelters render key social work services aimed at reunifying homeless adults with their families, with R16-million allocated to sustained family reunification services. The department is also working with NGO’s, to provide extra mattresses, food, and care packs to the poor. The Sustainable Livelihoods Programme funds a total of 75 targeted feeding sites across the province. Access to these sites is via the Department of Health, following an assessment by a registered social worker. The City of Cape Town provides funding and aid to NGOs that provide direct assistance to the homeless community in the city. Read more about the City of Cape Town’s Winter Readiness Programme which runs from 1 May 2018 to 30 August 2018. Call 0800 872 201 for assistance with street people. The Cape Town Central City Improvement District partnered with various NGOs for their Show You Care initiative. You can view their brochure about their initiative as well as their partner NGOs here. Government’s efforts are most effective when they work in partnership with NGOs and communities. You are encouraged to get involved through volunteering or donating to registered NGOs operating in the province.